Originally developed in the early 20th century, this wool fabric was designed for the British Army to be worn in tropical weather. The bright outlayer dissipates the heat while the red backside protects from UV sunrays. SEASE, based on the same weaving technique, engineers a new generation of high performance and sustainable fabrics. The most classic tailoring elegance evolves into contemporary outerwear with unique colors and iridiscent shades. 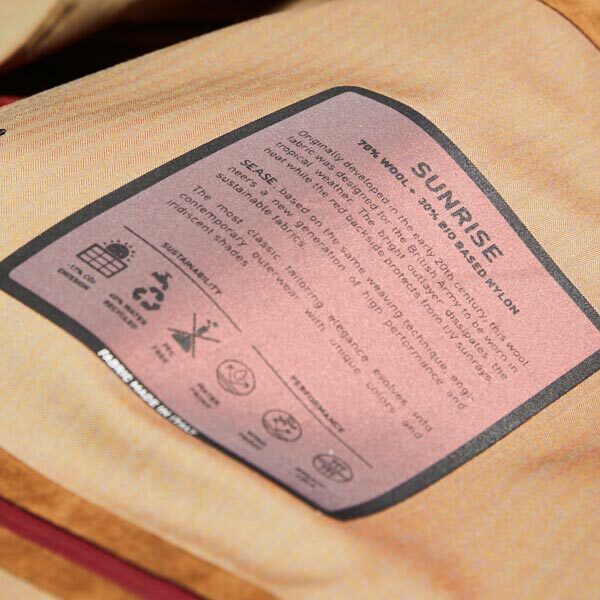 SEASE has developed a family of natural fabrics for high performace activewear. Wool has thermo-regulatory properties that protects the body in any weather condition, while the bio nylon yarn increases resistency and durability. 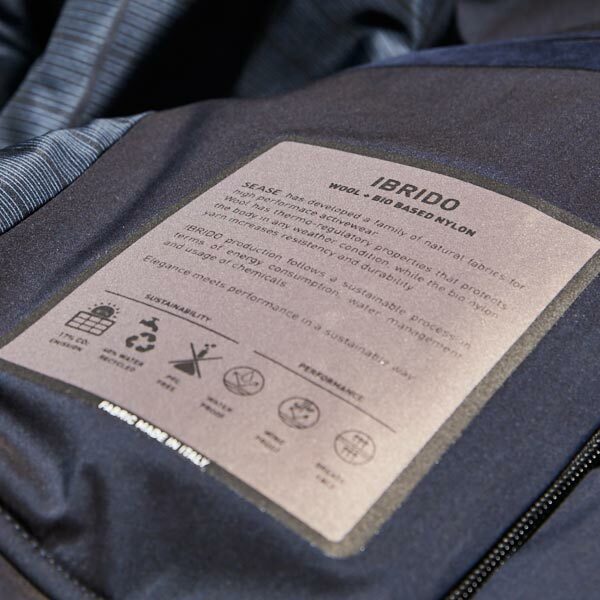 IBRIDO production follows a sustainable process in terms of energy consumption, water management and usage of chemicals. Elegance meets performance in a sustainable way. SEASE has developed a new generation of bio based nylon fabrics. Petroleum free polymers are extracted from castor beans. This biomass is not part of the food chain and its cultivation requires low water and pesticides consumption. Compared with traditional nylon, the bio yarn production reduces CO2 emission by 30%. 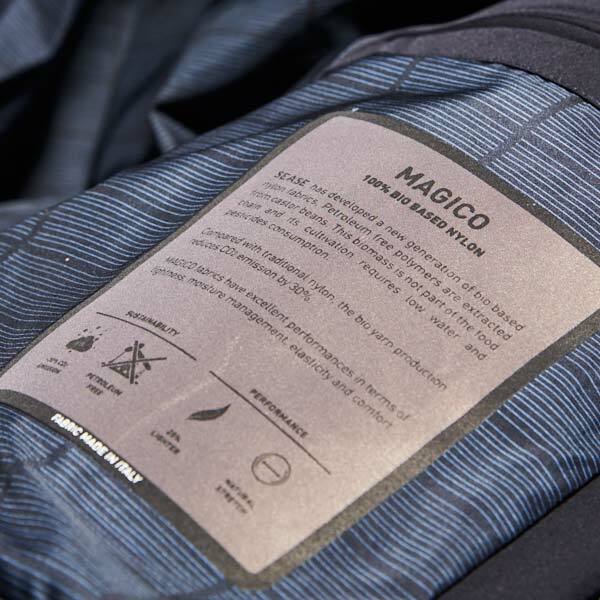 MAGICO fabrics have excellent performances in terms of lightness, moisture management, elasticity and comfort. Don't miss the latest news, deals and products from Sease.